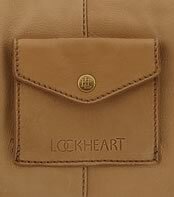 I wish there were more Lockheart bags available in retail stores. I’ve been thinking this for quite some time now, but, even more lately. I am back at home visiting the family and where I have my “office” set up, every time I glance up, I see my mom’s gorgeous Lockheart Candice Hobo. Needless to say, I have Lockheart on my mind. So, today, I didn’t just come across a Lockheart bag, I actively went searching for one. More often than not, when searching for a specific designer bag, I am able to find something I like. And here we go again. Per usual, Lockheart has me salivating over another one of their bags. Fine detailing and Lockheart go hand-in-hand. 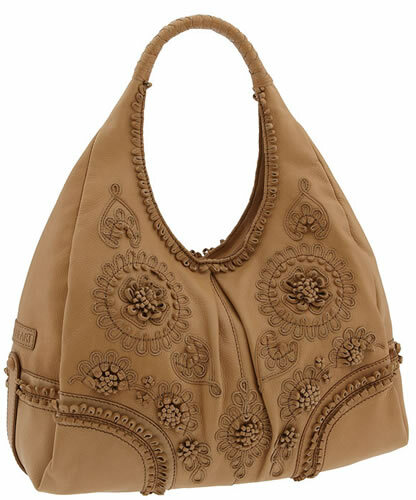 The Lockheart Curly Q Rihanna Hobo is a fabulous bag with exquisite detail. The floral pattern, loops, embellishments and a single braided strap all play off of one another. Sometimes I can’t figure out how so many different pieces can come together so perfectly, but I’ve realized I don’t need to ask. This particular bag comes in Espresso, Burnt Orange and Neutral (pictured here) leather. I love the cute little snap pocket on the back of the bag – it is perfect for my lip gloss! All in all, we have another amazing bag that keeps me wanting more. Buy through Nordstrom for $525.